Gandhi believed that the responsiveness of the state and its institutions to the needs and aspirations of the people and inclusive citizenship are imperative to good governance. The success of democracy depends upon the equality of all human beings, their right to participate in social and political transformation and the right to development, to live in dignity. incumbent is invariably a bad example of it and the critics, without promising alternatives mostly swear that they have the panacea for the people. People vote for them, at times, only to be disillusioned. The turn of the century has seen a greater refinement and deeper intensity in this debate as government struggles to hold power while claiming to shed it, politicians have become more vocal, bureaucracy more cautious and clever, academics draw more ideas from the global discourse and the media has becomes more forthright. It takes sides, shedding its traditional neutrality. But much of this remains confined to 1,200-word newspaper articles, a few hours of debate in conference halls and a few minutes of TRPs on the television. The discourse remains sterile and inconclusive. With name-calling as order of the day, it generates more heat and less wisdom. 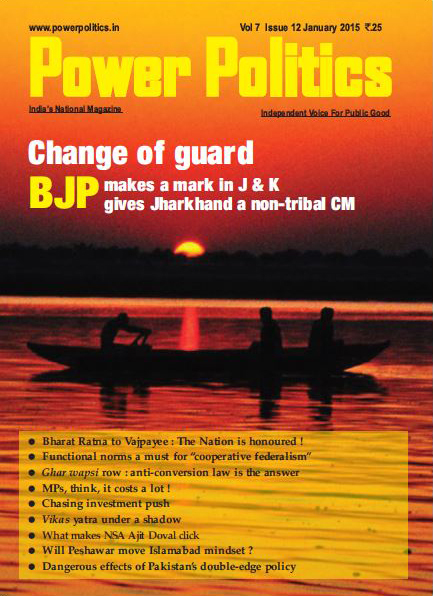 India is in the throes of a fierce passion for governance. Not just any governance but 'maximum governance'; preferably in a combo with 'minimum government'. This was promised by Narendra Modi during the 2014 Lok Sabha polls campaign. It caught the imagination of the people who voted for him. 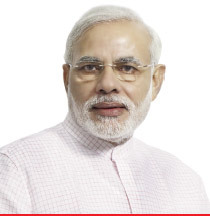 Narendra Modi "It is due to Narendra Modi that governance has become the talking point all over the country; from the conversations teenagers have over a cup of coffee to heated debated in newsrooms." It's now a truism that the Modi mandate of the 2014 polls is "a mandate for good governance." The extent to which this has been realized has been the subject matter of debates, again, more intensely, during the recent elections campaigns. Anna Hazare The UPA Government, particularly the 2009-2014, lost mandate after being accused of policy paralysis and bad and non-governance. Many of the issues that raged then remain unresolved today and have merged with the current discourse wherein not just governance, Modi's distinctive style of governance is also being vehemently debated. Since the NDA government took office, expectations of effective governance have been high amidst considerable change. This gives rise to wide-ranging new challenges surrounding issues such as the conduct of elections, administrative and performance management reforms, the ease of doing business, tax reforms, defence procurement procedures and foreign investment in defence, cyber security and the 'Make in India' campaign. Good governance has been seen as the biggest antidote to corruption in public life. 'Corruption' is not an ahistorical, value-neutral descriptor. Only, it has been seen and interpreted differently in different times, in the pursuit of different agendas. 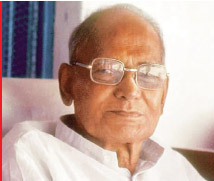 In Jayaprakash (JP) Narayan's movement for 'total revolution' in the 1970s, corruption denoted something very different from what it did in the Anna Hazare-led anti-corruption agitation of 2011.For Narayan, corruption was a moral evil and viewed the capitalist system itself as corrupt.There was his famous quote that "wealth cannot be amassed except by exploitation." Like much of the "free world", India has come a long way since. Post economic reforms, making money, and even if means exploitation, is not a sin. The fact is that all governments since the Independence have sworn by Gandhian ideals, but with varying degrees of real faith, commitment and success in their pursuit. Like Gandhi's other ideals – and Gandhi himself, there is more of lip-service and less of genuine pursuit. The anti-corruption discourse that grew around the Hazare movement did not share Narayan's reservations about the corrupting influences of the private profit motive. The focus has now shifted to public spending.Overnight, the entire political class, the bureaucracy, and social infrastructure (the public distribution system, for instance)are deemed as hotbeds of corruption and held solely responsible for the State's failures to deliver the benefits of economic growth. Corruption is being blamed for the benefits of economic growth not trickling down — or not trickling down enough — to the masses. Any government engaged in the delivery of socially critical economic goods is held to be offering incentives for corruption. Unsurprisingly, many poverty alleviation programmes have been dumped and where expedience demands, some of them, having earned a 'bad' name, have been re-vamped and/or renamed. In some cases, names of one set of individuals have been replaced by another. Simultaneously, corruption as being morally repugnant seems to have disappeared altogether -- so have favouritism and nepotism. What has replaced it is a narrow, technical idea of corruption as bribery. That gave the inevitable birth to Lokpal, the public ombudsman to oversee, and punish, corruption. 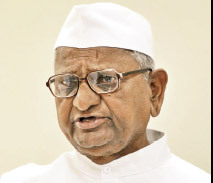 Hazare was joined in by many and the public perception that it built contributed to the UPA's ouster. It is significant, however, that three years hence, the much-touted anti-graft law is nowhere in sight. In sum, hypocritically, everyone swears against corruption, claims to be not corrupt and then points the fingers at others. Since corruption has been identified as the biggest hurdle to economic development, the stage is set for its antidote: good governance. This cycle – of aspirations first raised and then betrayed by economic reforms, leading to mass discontent, which zeroes in on corruption as the problem, with good governance presented as the solution – is very evident in recent Indian history. But India is not alone. The "international anti-corruption consensus" has been a powerful vehicle for maneuvering recalcitrant nations onto the neo-liberal track. Indeed, one of the 'sins' of the UPA-II was its failure to push the promarket economic reforms. 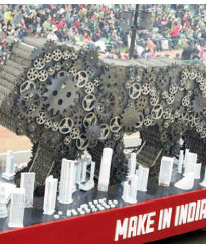 Make in India How does one achieve the goal of a corruption-free society? In human history, there has never been an instance of a powerful political group voluntarily giving up its power. Democracy and elections do provide solution, but not always. The real empowerment has always come from political confrontation and struggle – the civil rights movement, the youth and women's rights movement, reservations and the caste-based movements in India's case and other rights-based movements. They attempt to empower people through the institution of legally enforceable rights. Jayaprakash (JP) Narayan But the good governance model of empowerment,being largely corporate driven, is allergic to any rights-based empowerment. It conceives of empowerment in individualisticconsumerist rather than collective terms. It offers little scope, for instance, to remedy the social disempowerment caused by caste. This, perhaps, explains the curbing of the activities of several NGOs, especially those funded from abroad, in the name of security and citing alleged violation of rules governing incoming of foreign funds. Good governance is linked to transparency. But that transparency is with regard to business, especially foreign investors, who are tired of trying to find their way through the intricate webs of political patronage (also known as corruption) and often lose out to domestic capital, which enjoys a cultural advantage (so-called crony capitalism). Witness the efforts made by the union and state governments to appear 'transparent' and promote of ease of doing business in the eyes of the foreign investors. A new chapter has been added to the good governance debate by the recent verdict of the special CBI court into the 2G telecom spectrum allocation issue. Without going into the politics involved, the accusers and the accused who were let off for want of evidence, it needs noting that the observations made in the judgment are a serious indictment of many of the most powerful institutions of the state on whom the society depends for delivering good governance. The UPA Government, particularly the 2009- 2014, lost mandate after being accused of policy paralysis and bad and non-governance. Many of the issues that raged then remain unresolved today and have merged with the current discourse wherein not just governance, but Modi's distinctive style of governance is also being vehemently debated. This judgment of Justice O P Saini unwittingly dents the authority of the Supreme Court of India.It is true that the apex court in 2012 decided on the arbitrariness of policy, but it is difficult not to see that its perception of arbitrariness was shaped by the public perception that ministerial corruption may have been involved and the 'conspiracy' theories built around that perception. The verdict is an indictment of the bureaucracy. It argues that the officials draft rules they do not necessarily understand. Their notes to ministers are vague and could be misleading. As against these un-elected, the ministers, who are elected and answerable to parliament, are seen as those who can be misled. But we know they are not babes in the wood and are susceptible to their many other interests. Much of the blame, perhaps unfairly, is placed on the officials. The third institutional loser is the relationship between the Parliament and the Comptroller and Auditor General (CAG). In India's constitutional scheme of things, the CAG's reports are meant to be presented to Parliament that has to take a view on them. But over the years, as had happened in the of the Bofors gun deal, the CAG has emerged as a super-court in the absence of parliamentary scrutiny that is thwarted by our squabbling lawmakers. Parliamentary dysfunction has emboldened non-elected institutions, from the CAG to the Supreme Court, to exercise authority beyond the brief devised by the Constitution. It is saddening that public, too, perceives these institutions as above the lawmaker that it elects. At the end of the day, the onus falls on Parliament. If the trust in the ability of formal institutions to deliver justice is low, then law of the street takes over. Then, there is no governance, leave along good governance. The author is a seasoned journalist. Currently, he is the President of the Commonwealth Journalists Association.